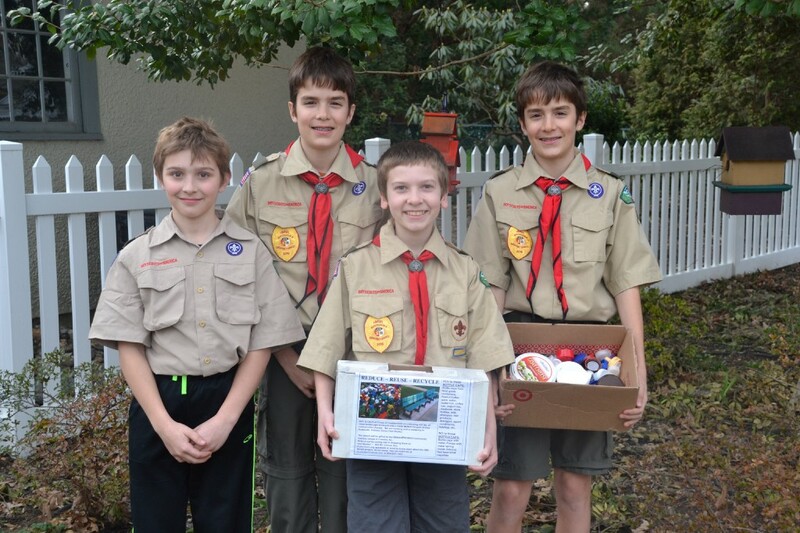 Haddonfield Boy Scout Troop 65 is trying to do its part creating awareness and reducing waste. The troop is undertaking a project to collect bottle caps to make a park bench. To create the bench, the Troop has to collect 400 pounds of plastic bottle caps. Since October, it has collected 103 pounds. The Troop 65 Conservation team consisting of Olli and Tobi Janssen, Tommy Miller, Alex Siecienski, and Cyrus and Samir Marwaha, who are all 12 years old, have been the leadership for this project. The bench will be made in Evansville, Ind., by a company named Green Tree Plastics. The normally cost of the bench is $800. However, the company works with youth-led groups such as the Boy Scouts to promote youth involvement and asks for the 400 pounds of bottle caps and a $225 processing fee. The caps, which are found on items such as water bottles, medicine bottles and detergent, are usually not able to be a part of the recycling process. The UrbanPromise Community Garden in Camden is a food co-op; depending on how much someone works, they get points to shop for the food grown. The Scouts have traveled across Haddonfield, leaving flyers and collection boxes for the bottle caps. Some of the locations include Inkwood Books as well as Saxbys and Starbucks. They also have met with Ron Smith, an environmental science teacher at Haddonfield Memorial High School. The school’s Environmental Science Club will assist with the collection of caps. Troop 65 will also be taking part in Haddonfield’s Earth Day celebration at King’s Court. Scouts will be passing out collection boxes and free plants on Saturday, April 22. They also will be taking donations toward the processing fee. For one of the Scouts, this project means even a little more. If anyone would like to make a monetary donation to the Haddonfield Boy Scout Troop 65 bench project or pick up a bottle cap collection box, contact Quanci at heylisabee@gmail.com.